This is a top up to the longstanding Foresight VCT, raising £20 million with an over-allotment of £20 million. This is is a generalist evergreen VCT. Assuming full subscription this VCT will have assets of approximately £120 million and 27 investments. Top performing VCT over the longer term (note: past performance is not a guide to the future). Foresight Group was founded in 1984 as a specialist technology venture capital manager. 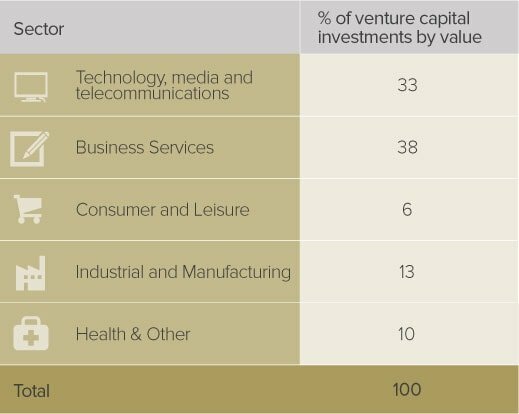 It has three investment divisions: private equity, environment and infrastructure. This VCT benefits from all three areas, but the private equity team are primarily responsible for the investments in this offer. In total Foresight has £2.3 billion under management and 63 investment professionals. £275 million is invested in its range of VCTs. David Hughes is the Chief Investment Officer and is supported by nine others in the private equity team. The annual target is is to pay dividends of at least 5p per share and grow the net asset value per share to approximately £1 per share. Long-term capital growth is also targeted. The type and stage of company into which Foresight invests fits in with this aim. This VCT has had a strong dividend record in recent years, with the minimum dividend target achieved in each of the last five years. The total amount paid in dividends over the past six years (30 September 2010 to 30 September 2016) stands is 40.5p per Ordinary Share, an average of 6.8p per year. Please remember, dividends are variable and not guaranteed and past performance is not a guide to the future. However, capital growth has been more muted. This can be largely attributed to an unsuccessful foray into environmental technology companies, which currently represent a small part of the existing portfolio. Deal flow has been strong recently and in 2015 and 2016 £22 million was invested in nine new companies. These include include Idio, a content analysis platform for online activity; Simulity Labs, a business powering connected devices and the internet of things; and FFX.co.uk a company that supplies high quality hand power tools. The latest investment is into the Online Poundshop, launched by the founder of Poundland. Online Poundshop will use Foresight’s investment to upgrade IT, develop its marketing strategy and expand warehousing capability. Foresight is backing an entrepreneur with a proven track record in a younger venture. Further new investments are expected imminently. These new investments are aimed at fast-growing companies, already revenue generating that want to expand their existing markets and attack new ones. Businesses are typically valued between £5 million and £15 million at the point of investment. Looking through the successful exits Foresight has had over the years, the best ones have been long-standing investments. Technology-based companies often take time to mature and the best results have typically arisen from sticking with them for the long term. Trade sales or flotations are viewed as likely routes to exit. Exits in recent years include the refinancing of Datapath with a 3.7x return achieved thus far; TFC Europe with a 1.64x return; Camwood with a 3.0x return and Aquasium that returned 1.6x. Remember, past performance is not a guide to the future. As with most VCT portfolios the underlying companies are becoming earlier-stage businesses due to rule changes 18 months ago. At full subscription of £40 million, approximately half of the portfolio will be in cash awaiting investment, which could be a risk. However, the cash drag effect has been considered by the management and Foresight’s fee reduces if there is too much cash in the portfolio. Please remember capital is at risk. VCTs are high risk investments and are not suitable for everyone. Investors should not invest money they cannot afford to lose. Tax benefits depend on individual circumstances and tax rules can change. The initial charge is 5.5%, before Wealth Club discount. Existing Foresight investors will receive a 0.5% loyalty bonus. The manager receives an annual fee of 2% per annum plus an additional £110,000 each year. For cash held above £20 million in the VCT, Foresight will reduce the annual management fee to 1%. Members of the Foresight team can invest in the equity of the underlying investments. Currently there is no performance-related fee; however, the board has announced it is considering introducing one, subject to shareholder vote in the near future. It is expected to be linked to receiving back at least what is invested in each underlying investment. There will be an additional hurdle linked to overall performance of the VCT. In addition, Foresight may receive deal arrangement fees. The total annual running costs of the VCT are capped at 2.6%, however this cap will be reduced to 2.4% post fundraising – this is competitive. As an investment house, Foresight has ticked many boxes with a variety of products. It is a leader in renewable energy and infrastructure, for example. However, despite the excellent long-term record of this VCT, the performance of the last five years has been lacklustre. A foray into environmental technology proved costly and we believe the Foresight private equity team has got a lot to do to prove its credentials. There are benefits to the portfolio though, about half is already invested in exciting higher-growth companies, many in Foresight’s stronger area of expertise and if these start delivering over the next few years, the flow of dividends could remain strong.